mys•ti•cal un•ion: A deep, conscious awareness of our direct, intimate and inseparable communion with God. Many people are experiencing dynamic encounters with God which, although prevalent in scripture, revival history and the mystical tradition, are often not common in contemporary Western Christianity. Re:Union encourages us into a deeper relationship with Jesus and affirms His invitation to enjoy unbroken heavenly union with God as a daily reality. Anina Thomas is a rare gift to the world. Her words are a symphony of wisdom and blissful joy, birthed from her real life experience of living in union with God. This book is full of profound insights and rare treasures. I caught the train just in time after having been at 3 meetings which had rolled into one long day. I was stressed and my shoulders ached. As I slouched in my seat I remembered that I hadn’t read Anina’s book yet. As I read I met with Jesus afresh, I dared to ask the questions she challenged me to throughout and I recalled the promises of closeness and intimacy with God. After reading I noticed something. My shoulders no longer were burdened. If you are bored of being a Christian, stuck in the same old same old, you need to read this! Hold on to your hat and hold on tight- your life won’t be the same after reading Re:Union! This is a book by an authentic Christian mystic who not only has her own stories to tell of her adventures in the spirit realm but who has also chosen to root herself in the long and venerable history of Christian mysticism, sharing with us valuable insights from such great historical figures as Francis of Assisi and Theresa of Avila. It seems that in Anina we are blessed with the merging of two streams: the ancient mystical tradition and the contemporary charismatic movement. Well worth a read. Re:Union reads like a glorious sunrise dawning on a new day; a carpeted array of delicate, delightful snow drops defying the hardness of the ground or the harshness of the winter; a golden display of daffodils declaring that the winter is past and gone - it's Springtime! It is a life journal that rejects falsehood, fake masks and superficiality and reveals the unveiling of loveliness, intimacy with God, and the pursuit of beauty. It is unashamedly self revealing. Honest about the pain, the agony and the ecstasy. It is about transformation that can only be experienced through embracing the perfect love as found in The Father; redemption that can only be seen through the sacrificial love of The Saviour; completion as experienced only in the fullness of The Holy Spirit. It was a joy to be a small part of Anina's journey. It is a total joy to commend Re:Union. This book is essential reading to those who desire intimacy with God, and are willing to pay any price (including losing respectability), to have it all. 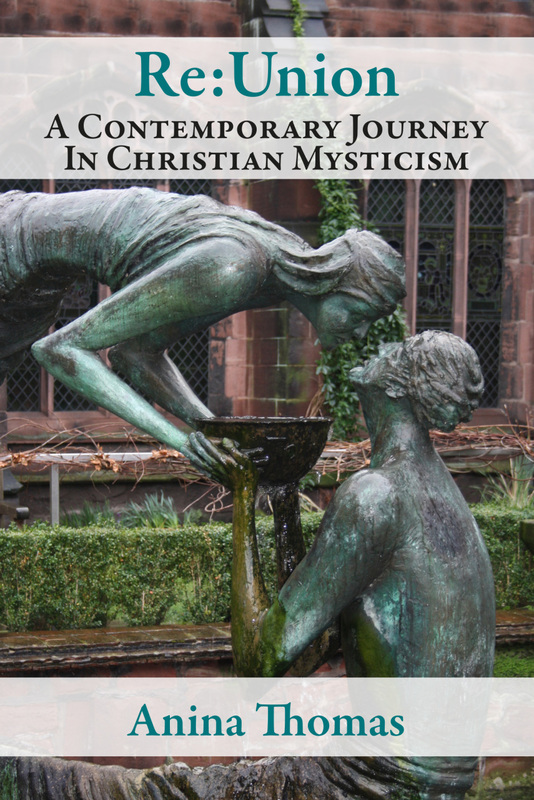 Written by a true mystic and a creatively colourful writer, Anina has shared the very essence of her heart, taking us on a mystical journey full of pearls of great price, into the heart of Jesus. I know Anina personally and when she ministers to people what a pleasurable presence of unspeakable Joy, compassion, love, breakthrough and power releases, flowing like a river, touching and changing the atmosphere about her and releasing the glorious Kingdom of heaven on earth. This book will stir you to holy jealousy for the deeper things of God and release fresh passion to inspire you to reach higher into Kingdom realms; knowing who you are in Christ and challenging you to fulfill your destiny. I recommend this book to everyone who is hungry for a Galatians 2: 20 lifestyle, where we no longer live but Christ, are united with him in his death, buried with him and raised with Him to new life.